A city like no other, the National Capital Region of Delhi is the second most populated city of India after the cultural capital of Mumbai. The city’s been known to be inhabited even before 6th century BC. Featuring in some prominent texts like Mahabharata, Delhi has been a mute witness to the evolution of humans and the struggle of a nation against unwarranted dominance. Now a throbbing metropolis, Delhi is where the heart of India lies. Incredible monuments like Qutub Minar, Red Fort, Humayun’s Tomb, India Gate, Akshardham Temple etc., are situated in this capital region drawing thousands of tourists every year from all over the world. A small respite from the gruelling summer heat in the city comes in the form of beautiful lakes and boating facilities which can be used for such recreational purposes providing an ideal and a small picnic time spent with family or friends. Listed here are the five best places one can visit for boating in Delhi. Located just 60 kilometres from the capital city, Damdama lake resides in the Sohna region of Haryana. A popular picnic spot, the lake is a charming paradise for nature lovers and bird watchers. One can spot a number of birds including Kingfishers and cranes here. Many choices are offered here for boating: paddle boating, motor boating and row boating are some of them. Relaxing in the middle of this expansive water body with surrounding greenery and rolling hills in the distance, the lake provides one of the best ways to spend a tranquil evening. 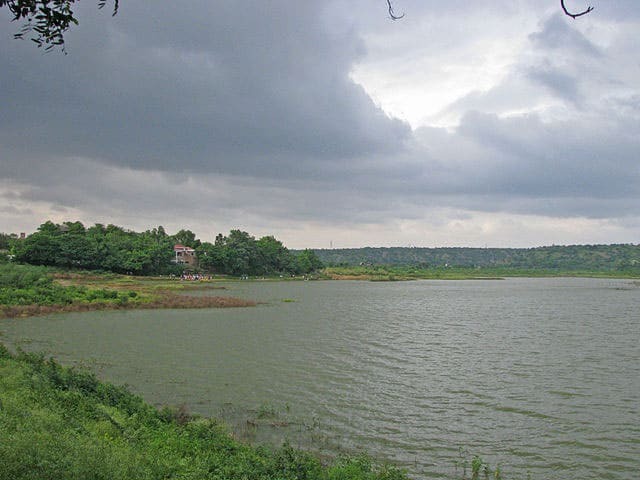 A beautiful reservoir constructed by Raja Surajmal in the 10th century, Surajkund lake is an idyllic place for boating. A hidden gem, the lake is relatively unknown to the tourists and hence provides the most pristine and calm ambiance. Gathering its name from “Lake of the Sun”, the site is located on the periphery of the capital city, Delhi. Boat riding here is not just a peaceful experience here but a historical ride back to the reign of ancient kings and giant empires, as you see the ruins of the structures unfolding around you. 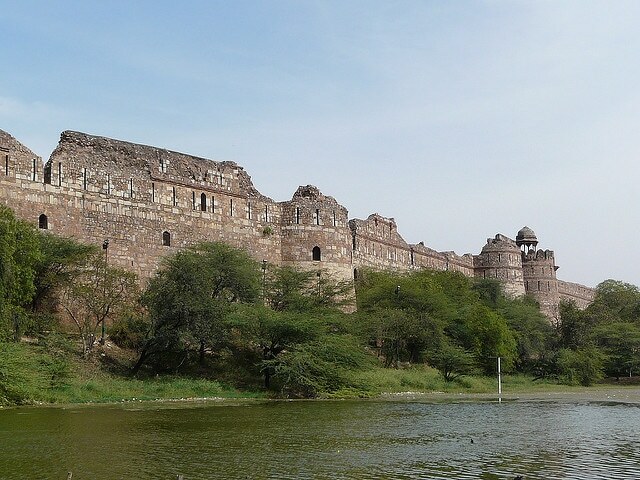 One of the oldest and the most majestic of the structures, Purana Qila or the Old Fort of the city still stands in grandeur after thousands of years. Situated just next to the fort is the lake which offers amazing boating experience through the semi arid wilderness of Delhi. The ancient fort is in sharp contrast with the lively young shrubs and plants that surround the lake making the boat ride a truly magnificent experience. The prices for the boat rides are quite inexpensive and can be enjoyed by everybody. 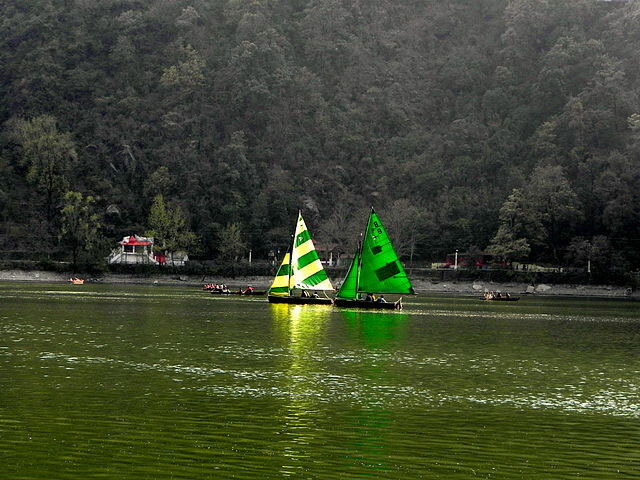 Located in the Model Town region of Delhi, the tiny Naini lake offers inexpensive rides or small boats or “shikaras”. Paddle boats are also available if one wishes to explore the lake oneself. Situated right in the middle of a residential area, the lake provides an ideal site to spend relaxed time with loved one without having to go too far outside the city. Hosting multitudes of water sport activities, Bhalswa lake sits in the region of Jahangirpura in New Delhi. One not only has the options to go for paddle or row boats here but also interesting sports like kayaking, rowing and canoeing that are offered. Throbbing with pulsating activities, the site is always filled with youngsters waiting to experience the thrill. If laziness has taken over, then scooters and hovercrafts are best utilized at this splendid spot. Just five of so many other sites that offer perfect serenity for boating, one can find any kind of sport activities offered here in Delhi. A city adored by its inhabitants, this capital region offers some of the best holiday experiences in the country.